Bicycle Horns. Lets make some noise! 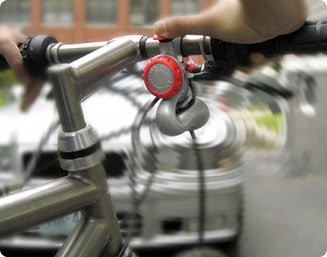 There has been quite a bit of noise (excuse the pun) about bicycle horn projects on Kickstarter recently. 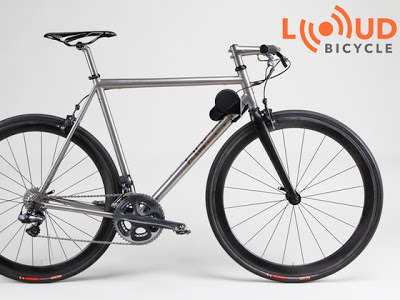 The Loud Bicycle Horn for your bike by developer Jonathan Lansley is a 112db bicycle horn that sounds remarkably similar to a compact car horn. Drivers react instinctively to the sound of a car horn even when they don't know where that sound is coming from, because they know failure to do so could result in a collision with something of equal or grater mass. Imagine a driver reversing from a driveway without noticing you approaching on your bicycle. If that driver hears a car horn, even without seeing a car nearby, they will brake to double check the environment around them. Imagine their surprise when there is nothing there but you an your bicycle. The Loud Bicycle horn project is fully funded and the first horns will go on sale in August 2013. You can pre-order the horn for $95 via their homepage. 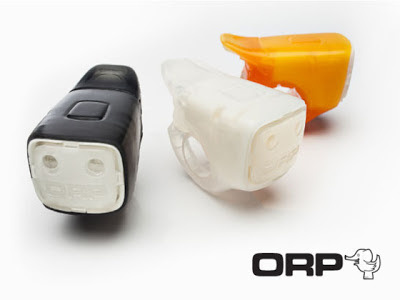 Of a more compact design in the ORP Smart Horn being developed by Tory Orzeck. This two tone, 96db horn mounts on your handlebars and also conveniently doubles as a headlight so your dash doesn't get all cluttered up with additional gadgets. While it doesn't sound like a car horn its distinctive sound will certainly attract the attention of motorists and pedestrians alike. The ORP Smart Horn will retail for $49.95, but you can snare one right off the assembly line if you back their Kickstarter project for $40. A horn I've had my eye on for a while is the Delta Cycle Airzound Horn. The horn is a remarkably low tech air horn that produces a 115db burst of noise without the need for batteries. Simply pump the tank full of air using your bicycle pump and you're good to go. Its not a Kickstarter project so you can get your hands on it today for just $29.98 from Amazon. When buying its a difficult decision as each of the horns operate at roughly the same volume and each has attractive features. I like the sound of the Loud Bicycle Horn, the compact design of the ORP Smart Horn, and the sheer simplicity of the AirZound horn. Do you feel the need for a horn on your bicycle? As a daily bicycle commuter I've certainly been in situations where I would have liked nice loud horn, though more for venting my anger loudly than avoiding a situation. I have been to Yokohama where a Japanese friend showed me an assembly line for Japanese bicycles that are imported abroad. I must say that I am impressed as the number of robotic arms working and their efficiency was an astonishing site. They churned out high quality bikes. One of the reasons why, I think, Japanese people maintain their body in shape and healthy is because of their fondness to bicycle. Which, according to some studies is a good everyday exercise.